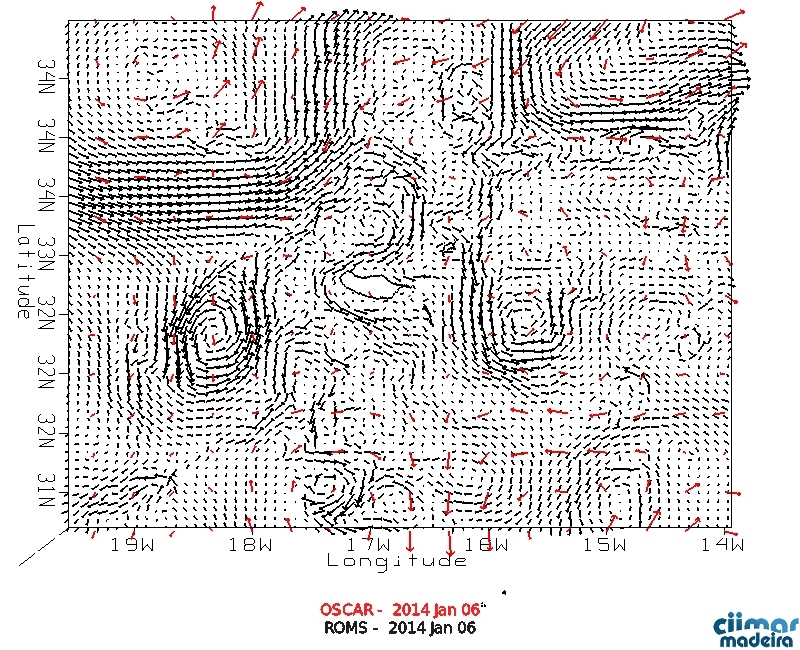 Comparing the Regional ocean circulation model forecats with observations. Comparisons of: (i) forecasted sea surface currents with observed currents (OSCAR); comparisions between model and observed sea surface current velocities are shown seperatly; (ii) SSH - Sea Surface Height Anomalies: comparing model results with AVISO-SLA; and (iii) SST - Sea Surface Temperature Anomalies: comparing model SST with GHRSST. Results from January 2014 to the present are shown. A time lag of at least one month is expected, in order to allow for satellite observations to be processed and available to the scientific community.